3 Special food and wine pairing dinners at La Toc French cuisine, Armando’s Italian cuisine and Neptune’s Mediterranean cuisine. For those of you looking for something unique, we are offing both a great deal and limited availability on a Napa Cabernet that recently scored 95 Points! Check it out here. For those friends of yours who love Cabernet Sauvignon, why not give them a unique, small production wine from a new cult wine producer – Krutz Family Cellars? 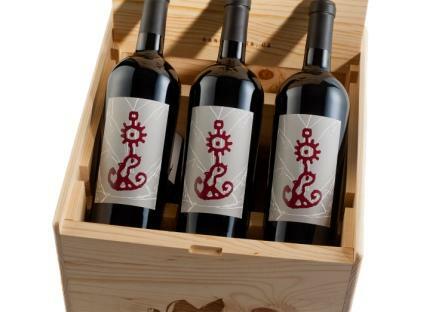 Their 06 vintage was ranked one of the top 100 wines in 2011 by Wine Enthusiast (Feb 2011), and it has already sold out. Get in early, this new producer’s wine will soon be available for wine club members only. Today, we are offering a limited quantity of the 2007 Stagecoach Vineyard Cabernet Sauvignon at a +15% discount. I’m sorry but – it’s time to start thinking about holiday gift giving. Considering that you’re reading this, you are undoubtedly planning on giving wine to some of the people on your list. For those friends of yours who love Zinfandel, why not give them a wine you can’t find at your local grocery store, i.e., a slightly culty producer like Tofanelli? This week, Indie Winemakers is offering hand-crafted artisan Zinfandel from Napa Valley produced by Tofanelli Family Vineyards. This is the same fruit used by Orin-Swift’s the ‘Prisoner’, which was ranked #17 of the top 100 wines in 2007 by Wine Spectator! Deal Alert: No shipping fees and no tax outside of California means an additional savings of over $30 for most authorized ship-to states. Only 5 states are restricted. For additional information and to purchase, go here. In the past, the Sierra Foothills was known for Zinfandel wines but today you are more likely to find elegant grapes whose ancestral homes include France’s Rhone Valley or Bordeaux region. Our discount wine of the week features two such varietals, Petit Verdot and Cabernet Franc. Often used for blending, these wines are far better on their own. Both wines are offered by Crystal Basin Cellars and are discounted 33% off retail price. Discounted prices can be purchased here. Recent wine reviews have gone so far as comparing Syrah as the bigger, bolder cousin to Pinot Noir. There are reports of Wine Sommeliers labeling the Syrah section of their wine list as ‘Syrah, what “Big Pinot” wants to be.’ The upside, if you like big Pinots and like to save a few bucks, try rekindling your love of Syrah. Our Featured Wine of the Week includes a 2-year vertical of cool-climate Syrah’s from the Sierra Foothills. 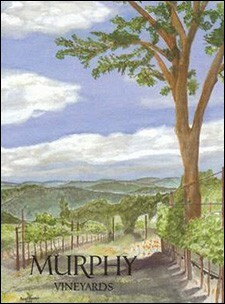 We also have a Syrah/Cab Franc blend from the Sierra Foothills included in this promotion. Get all 3 bottles for $25. As an added bonus, get a case of wine for $100 and shipping is included in the sales price for CA, OR and NV. 50% off case shipping fees for all other states. Go to the website to purchase. What’s the deal with Old Vine Wine? The term “old vines” appears on many wine labels, most often on Zinfandel. So, I wondered what qualifies a wine as “old vine”? I checked the Wine Institute, Family Winemakers of California and other “official” organizations only to find that the term is unregulated. 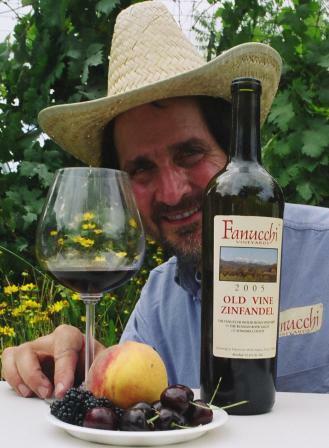 Our Featured Wine of the Week is an old vine zinfandel with rootstock planted in 1906. My guess is any plant that is over 100 years old qualifies! Check out our latest discounted wine of the week!